In 1822-1823, the U.S. Congress provided $4,000 for the construction of a lighthouse at Old Field Point near the entrance to Port Jefferson Harbor. The land was purchased from Samuel Thompson for $400. Construction of the 30-foot octagonal stone tower and separate 1-1/2-storey lightkeeper’s house was completed in 1824. The lighthouse had nine whale oil lamps that were arranged in a lantern and magnified with parabolic reflectors. Though the original lighthouse was rebuilt in the 1860s, the keeper’s house remains. Shortly after the Civil War, a new, 67-foot-tall lighthouse was built to accommodate the increased shipping traffic on Long Island Sound. Construction of this currently existing lighthouse was completed in 1869. Its Victorian-Gothic Revival style is similar to that of the Plum Island Lighthouse. Kerosene was first used to power the lamp, but today the electric unit flashes alternating red and green and has a range of 30 miles. The Old Field Lighthouse was deactivated in 1933 and the property was conveyed to the Village of Old Field in 1935 for public-park purposes. 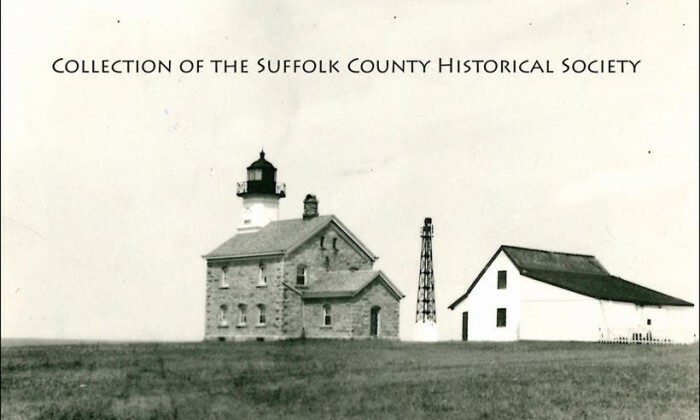 After the bombing of Pearl Harbor in 1941, however, the government seized the station, along with Southold’s Horton Point Lighthouse, for purposes of national defense. Horton Point was manned by aircraft spotters, while a small Coast Guard contingent occupied Old Field Light. After the war, both lighthouses were returned to their respective communities. According to Lighthouses of Long Island, Suffolk County has more lighthouses than any other county in the United States, and Southold Town has more lighthouses than any other town in the country. You can view the long list of Long Island’s lighthouses at this link: Long Island’s Lights. Harlan Hamilton, Lights and Legends: A Historical Guide to Lighthouses of Long Island Sound, Fishers Island Sound, and Block Island Sound (2006).